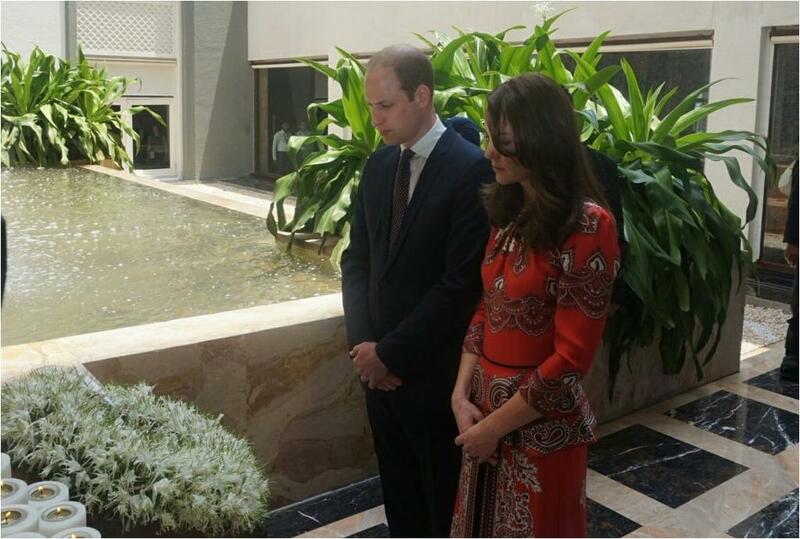 The Duke and Duchess of Cambridge started their tour of India and Bhutan with a stop in Mumbai, where the Duchess managed to check off pretty much every item on the India tour must-have list - just on the first day. Must be some sort of royal tour record. 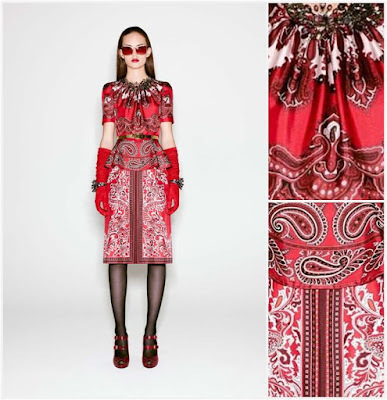 Vibrant prints and Indian design inspiration: Check! 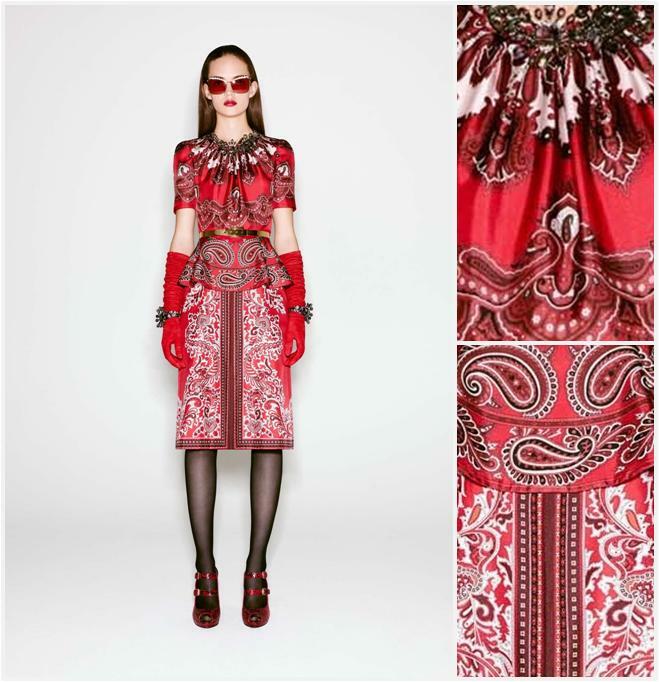 Paisley patterns "became very popular in the West in the 18th and 19th centuries, following imports of post-Mughal versions of the design from India," according to my super extensive Wikipedia research, so the motif in use by a favorite British designer - it's a modified look from the Alexander McQueen Pre-Fall 2016 collection - is one diplomatic nod of an outfit. This is an excellent look with which to play my favorite royal tour outfit game, Will we ever see it again? Place your bets now. 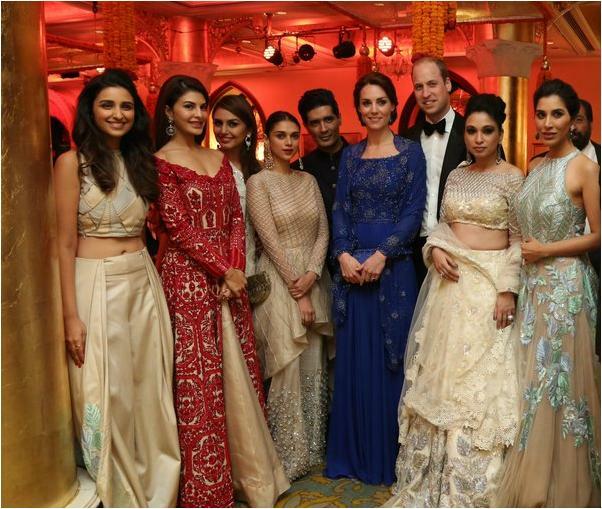 Wearing Indian designers: Check! 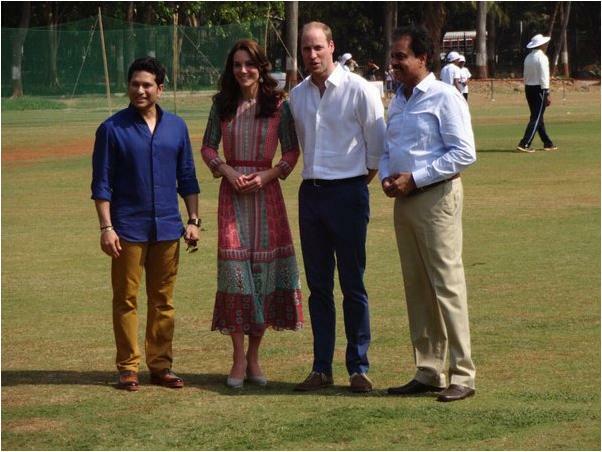 Kate wasted no time donning a frock from Mumbai designer Anita Dongre. Her selection, the Gulrukh Tunic Dress with Jaipur-inspired motifs in printed georgette, was just the right length with a nice flow. Just for a tiny peek into tour planning: her appearance in the dress came as a surprise for the designer, though the label's lookbook was requested by the royal team. Color, embellishment, color, Indian jewels, and color: CHECK! Kate wrapped up her check list with a serious dose of vibrant blue, a fabulous flowing train, and some more diplomatic details. The dress is from one of her favorite evening gown designers, Jenny Packham, but the beading on the top and the wrap was completed in India. For this round of Will we ever see it again?, I sincerely hope the answer is yes. 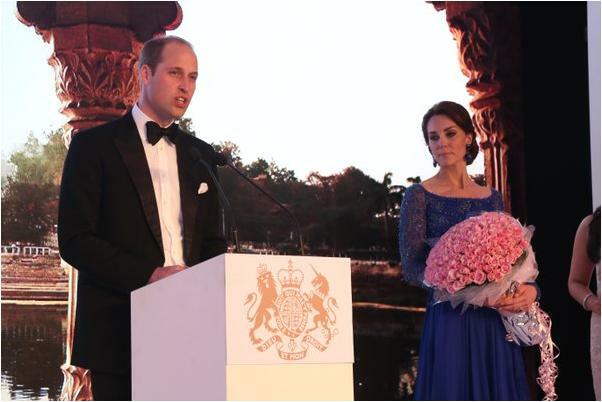 I love the dress without the shawl (seen above, with the bouquet) (is it still a bouquet when it's that large? Seems like a two hand requirement should drop it out of bouquet range. Whatever, it's gorgeous), and can't wait to see some sapphires paired with it in the future. She also checked off the "Indian jewels" category from the tour must-have list - though not in the way many were hoping. 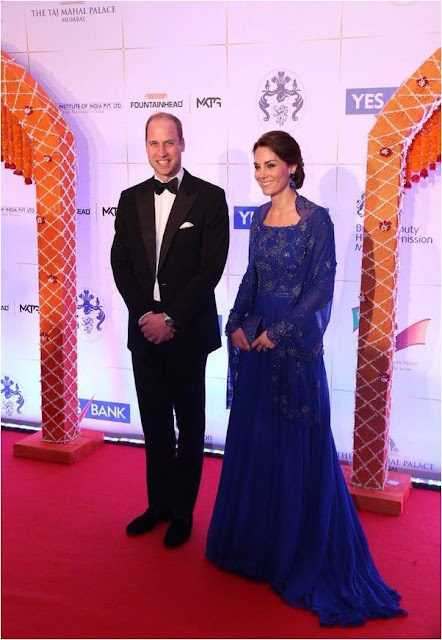 As I said when I wrote about jewels from the Queen's collection with an Indian connection over at the Jewel Vault, I doubted that we would see such royal gems appear during this trip. At what is expected to be the glitziest event of the tour, they did not. But she did go for new earrings from Indian jeweler Amrapali, in lapis lazuli and diamonds. These are a bigger statement piece than I would have expected from her - from Queen Máxima, sure; the Swedish princesses, why not - but hey, whatever it takes to inch us towards bigger gems. Keep it coming. Need more? Here is a tremendously lengthy gallery at Zimbio. More tour coverage to come around here as the week rolls on.